Hank Willis Thomas (American, born 1976), Branded Head, 2003, from the series Branded, Chromogenic print, Courtesy the artist and Jack Shainman Gallery, New York © Hank Willis Thomas. Hank Willis Thomas (American, born 1976). The Cotton Bowl, from the series Strange Fruit, 2011. Digital c-print. 50 x 73 inches. © Hank Willis Thomas, courtesy of the artist and Jack Shainman Gallery, New York. Hank Willis Thomas (American, born 1976). We The People, 2015. Quilt made out of decommissioned prison uniforms. 73 1/4 x 88 1/4 inches. © Hank Willis Thomas, courtesy of the artist and Jack Shainman Gallery, New York. Organized by the Portland Art Museum and co-curated by Julia Dolan, Ph.D., The Minor White Curator of Photography, and Sara Krajewski, The Robert and Mercedes Eichholz Curator of Modern and Contemporary Art, Hank Willis Thomas: All Things Being Equal…features approximately 100 works including early photographic series, recent sculptures based on archival photographs taken during historic 20th-century events, quilts constructed from commercial sports jerseys and prison uniforms, video installations, interactive two-dimensional and time-based works, and public art projects. 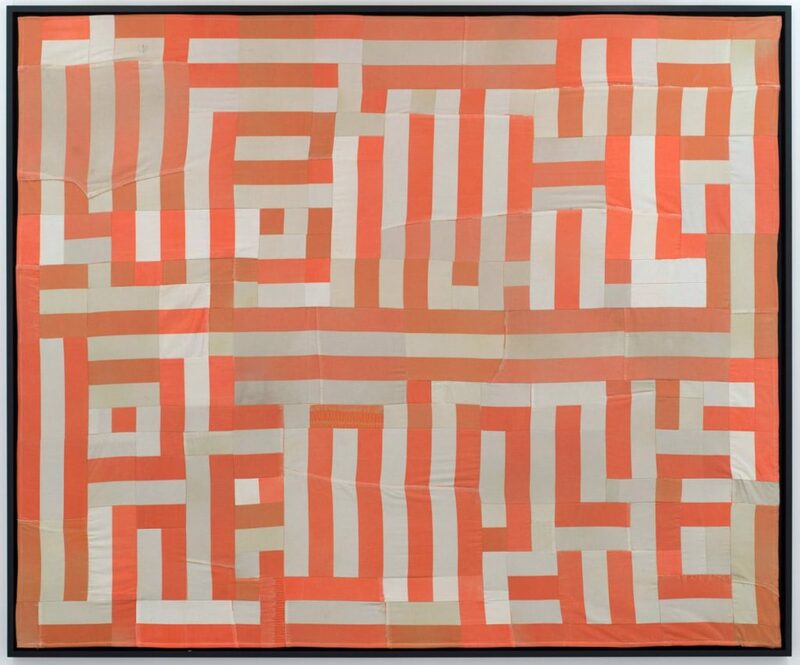 In addition, the Museum will support the creation of a new and monumental flag-based work addressing lives lost to gun violence in the United States in 2018 that will serve as the entry point to the exhibition. Following its presentation in Portland, the exhibition will travel to Crystal Bridges Museum of American Art in Bentonville, Arkansas (February 8 – April 27, 2020), and to the Cincinnati Museum of Art in Cincinnati, Ohio (July 10 – September 27, 2020). Organized by the Portland Art Museum and co-curated by Julia Dolan, Ph.D., The Minor White Curator of Photography, and Sara Krajewski, The Robert and Mercedes Eichholz Curator of Modern and Contemporary Art. This exhibition is sponsored in part by The Andy Warhol Foundation for the Visual Arts; The Henry Luce Foundation; The National Endowment for the Arts; The Collins Foundation; Samuel H. Kress Foundation; The Zidell Family Foundation; Ed Cauduro Fund of the Oregon Community Foundation; Dan Wieden and Priscilla Bernard Wieden; The Arnold & Augusta Newman Foundation; and Exhibition Series Sponsors. 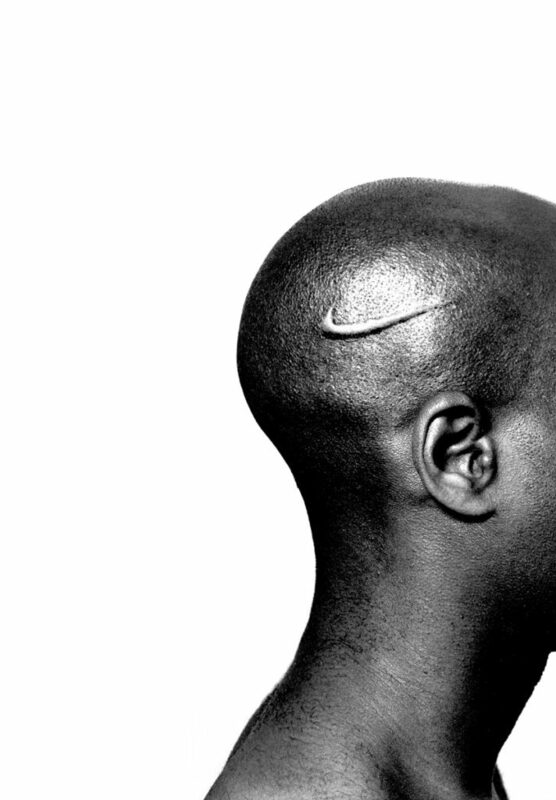 Hank Willis Thomas (b. 1976, Plainfield, N.J.; lives and works in Brooklyn, N.Y.) is a conceptual artist working primarily with themes related to perspective identity, commodity, media, and popular culture.His work has been exhibited throughout the United States and abroad including the International Center of Photography, New York; Guggenheim Museum Bilbao, Spain; Musée du quai Branly, Paris; Hong Kong Arts Centre, Hong Kong, and the Witte de With Center for Contemporary Art, Netherlands. Solo exhibitions of his work have been featured at SCAD Museum of Art, Savannah, Ga.; California African American Museum, Los Angeles; Philadelphia Photo Arts Center, Philadelphia; Chrysler Museum of Art, Norfolk, Va.; Cleveland Museum of Art, Cleveland, Ohio; The Art Museum at the University of Kentucky, Lexington, Ky.; The Aldrich Contemporary Art Museum, Ridgefield, Conn.; Corcoran Gallery of Art, Washington, D.C.; Brooklyn Museum, Brooklyn, N.Y.; Baltimore Museum of Art, Baltimore, Md. ; Nerman Museum of Contemporary Art, Kansas City, Mo., and the African American Museum, Philadelphia, among others. His collaborative projects include Question Bridge: Black Males, In Search Of The Truth (The Truth Booth), and For Freedoms. In 2017, For Freedoms was awarded the ICP Infinity Award for New Media and Online Platform. Thomas is a recipient of the Gordon Parks Foundation Fellowship (2019), Guggenheim Fellowship (2018), Art for Justice Grant (2018), AIMIA | AGO Photography Prize (2017), Soros Equality Fellowship (2017), Aperture West Book Prize (2008), Renew Media Arts Fellowship from the Rockefeller Foundation (2007), and the New York Foundation for the Arts Fellowship Award (2006). He is also a member of the Public Design Commission for the City of New York. Thomas holds a B.F.A. from New York University, New York (1998) and an M.A./M.F.A. from the California College of the Arts, San Francisco (2004). He received honorary doctorates from the Maryland Institute of Art, Baltimore, and the Institute for Doctoral Studies in the Visual Arts, Portland, Maine, in 2017. In 2017, the artist unveiled his permanent public artwork “Love Over Rules” in San Francisco and “All Power to All People” in Opa Locka, Fla. Thomas was recently chosen to design Boston’s Martin Luther King, Jr. and Coretta Scott King Memorial, with MASS Design Group.